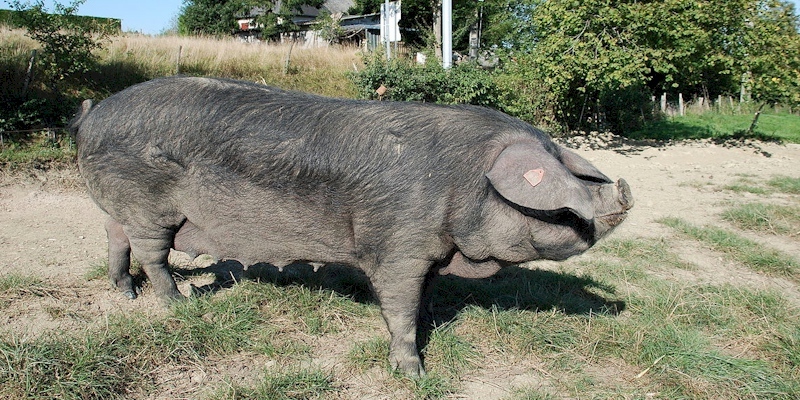 Gascon pigs are a rare breed from the mountainous and remote regions of France, and they probably are the most ancient breed of pig in France. Despite endangered Gascon pigs have many valuable characteristics. Like most old-fashioned breeds, they are prone to becoming very fat, but they are vigorous, hardy, thrifty and tolerant of hot climates. The sows are prolific and have a good supply of milk for their litters.